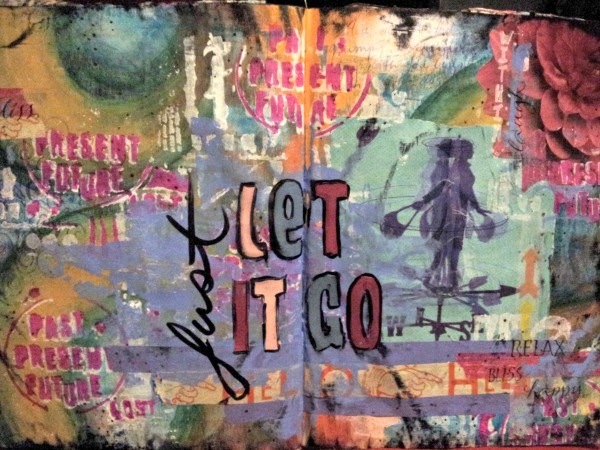 ***Journal Artista***: StencilGirl Seth Apter New Release Blog Hop! 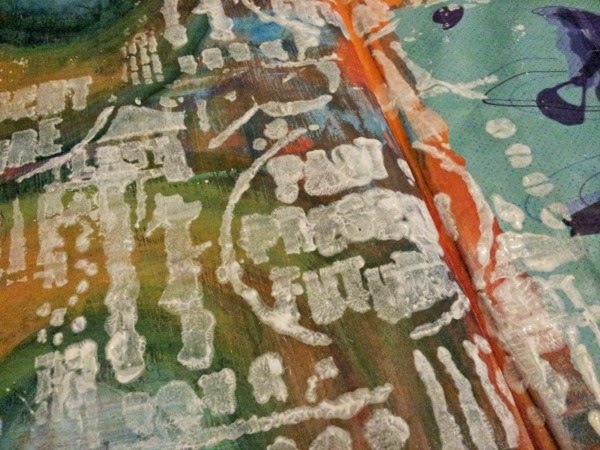 StencilGirl Seth Apter New Release Blog Hop! Welcome my friends! If you are new here, my name is Paula Phillips also known as JournalArtista. 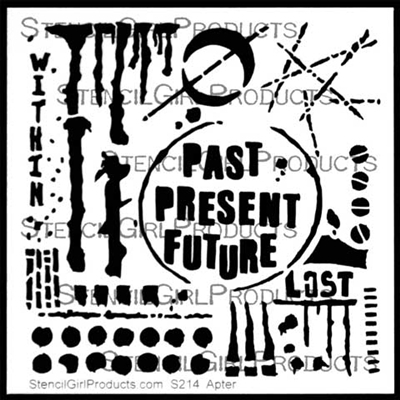 I was so excited to see the new stencil designs by Seth Apter from StencilGirl! I did not have a bright enough, nor a pink opaque enough to cover over the background. I decided to use a coat of gesso through the stencil first, to assure the bright pink would stand out. I also wanted to create a shadow effect, so I used a makeup wedge that was slightly wet before applying gesso. I also used a heavy hand when dabbing, purposely making the image fuzzy. Once the gesso was dry, I realigned the stencil over the gesso. I chose my current art journal obsession next, the Sharpie Brush marker. Normally writing over gesso with a Sharpie is bad news, drying them out. The Sharpie Brush marker does not dry out, and writes so smoothly. I added bits of pink marker directly over the gesso. I love how bright it turned out! I then added strips of washi tape, purple paint to block out the title, and sticker letters. I really love how the Sharpie marker peeks through the paint, but I especially love the words on this stencil design. Perfect for my feelings towards the magazine images. I don't write a lot of words within my art journal pages, I like images to speak for me most times. Don't forget to continue on on the hop! There is a giveaway going on on the StencilGirl Talk Blog! There will be two winners- each one will receive a set of the new 6"x6" stencils designed by Seth. Comment on all the blogs for more chances to win! Contest closes on Sunday, May 4th, 2014 at 11:59pm Central Time. Paula aka JournalArtista Don't forget to follow me on Youtube! Great spread Paula! Seth's stencils have so many great little elements to add to your creation! Paula, great journal spread! Love Seth's new stencils and love the way you used some many elements from them- really dig the way you did your letters with the pink and black- they Pop nicely! Well done and tfs! Just another great stencil. So many uses. Loving how this turned out Paula! The way you used this stencil with the brush markers really tied your page together.....love it! Love watching your process. Cool page. Love this spread, great ideas to use in my journal or altered projects! Paula, I love this! Wonderful colors. I love that the base is a magazine collage! Thanks for sharing. Very luscious - so many interesting ideas! Thanks for sharing your art! This is a really interesting page. I'm inspired to crack open my art journal (if only the day job didn't interfere with my arting time!). I've been seeing a lot of journaling pages lately and they do intrique me. yours is terrific. Love the incorporation of the spinning weather-vane! great pages with some brilliant new stencils, yeah! I love all the layers you've put down. They really add to the depth of your creation. Thank you for sharing your ideas! Love these stencils and you used them well too! 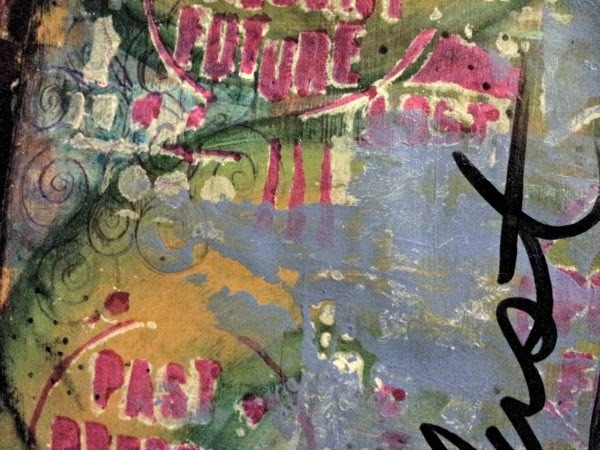 These grungy stencils really fit your page - very cool! These blog hops are so fun and inspiring - takes a bit of time, but you each have such great ideas, it's hard to skip one! Paula, I love the colors.. and always love your techniques. What fun pages! Love these stencils! You were one of the first youtube videos I watched when I started art journaling. Thank you for showing me how to start this fun activity! I love what you've done with the stencils! I really like how you have filled up every inch of your spread with color and layers of text/elements! Great pages...love the colours. Seth's stencils really work here. 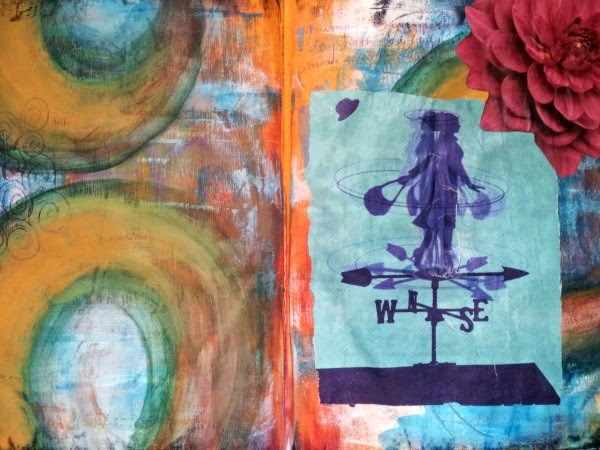 What a beautiful Art Journal entry! I love the pink on top of the gesso. Paula, love what you did with your page and the stencil! I love your inspiration, I watch your vids all the time! Thanks for sharing! Paula, I always love all your pages. Thanks for sharing. LOVE it, LOVE it! You ALL are so talented. Love the stencils & their versatility. I'd LOVE to win them! I love how everything came together with such depth. Great use of the stencils. wow - so fun to see how each of you use the new stencils - such inspiration. love what you did! Love seeing how everyone used the stencils! OH love the shadowing with the sharpie! thanks for sharing that technique--ive done it before, but it is great to see something "old" that we can make "new" again! Fantastic journal page! Great tip on the Sharpies! Great color and texture. TFS! Great use of the stencil. I am so putting these on my wish list. Fabulous journal spread! I love how you made the shadows. I really like this bit of eye candy. WOW what great pages using Seth's new stencils. I have and love the first set and this new set looks like just as much fun to use. Beautiful spread, and I agree that words look perfect in this stencil design! Great Journal page. Wonderful giveaway. Thanks for offering. Your work makes me want to use Seth's stencils right now! Beautiful composition! Thanks for sharing. Seth did a great job on designing these stencils. You did a great job using one for your project. I really have my fingers crossed that I'll be selected as the new owner of this set. thanks for sharing your project. Thanks for the tip about the Sharpies. Now I know how fix my stencil mistakes so they don't look like one. Love the stencils. Awesome journal spread....fabulous new stencil designs! Great journal pages! Love how you used the gesso for a shadow. Love all the colors. Seth's new stencils are really versatile. What a great page, loving those new stencils. Thanks for the chance to win, I would love to try them out. 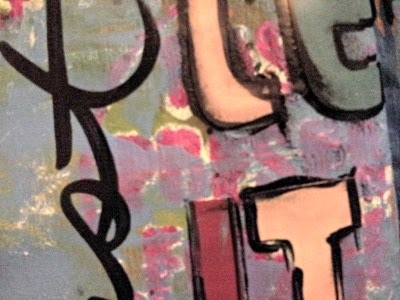 Seth's stencils are fabulous - I love what you've done with them! Wow! What great page you ended up with! I learn so much from you and other experienced mixed media artists on how to use bits & pieces of stencils to achieve what you want. Fun journal page :) I love Seth's new stencils. Love the idea of doing the stencil twice to create the shadow effect. Nice spread. With every blog I hop I love those stencils more and more! So versatile! You combine so many different mediums (media?) Love the results! Love the layers. Love the color! So vibrant!! Hello Paula, you have a new fan…me! I needed to here/read that it is OK to not write in the art journal books, & it's even better if the art speaks your truth or voice. Been wanting to try the journaling bandwagon & stencil but thought I should not because I do not have a writer's touch. YEA, excited! Your journal page is great. Those stencils of Seth's are crazy cool! Seth's stencils have such a "cool hip factor" that is recognizable on any project....the design elements could be used on each and every page or project with ease! Loooove your page...and ps...I like imagery to speak! beautiful project! Thanks for making time to share. Have a super day! Hey Paula! Blog hopping has been fun to see all the great artists! Seth's latest set of stencils makes me want to use them all together (bits of each one). Thanks for the opportunity to win them. Letting go is something I need to do more often, especially when it comes to my art. Great to see your stencil play! I love all your different techniques and how you used Seth's new stencils. I've enjoyed watching your art videos and am always inspired by what you create. Thanks for sharing your art with us, Paula! Paula, love the colors used, I must look for sharpie brushes,( just bought some cool metallic colors in Sharpies. ')The Stencil words, "Just let it go" in Seths neew stencil, are a favorite of mine. I too liked learning about the Sharpie brushes and how they don't dry out using them this way, but I also liked the message conveyed by your piece. Altogether inspiring--thank you. Love the layers, colours, repositioning of the stencils. And so vibrant! These look like really fun stencils to work with. Love the gesso used for shadowing, and I definitely will have to try the sharpie brush markers. I just love these stencils. Love what you did with the new stencils! 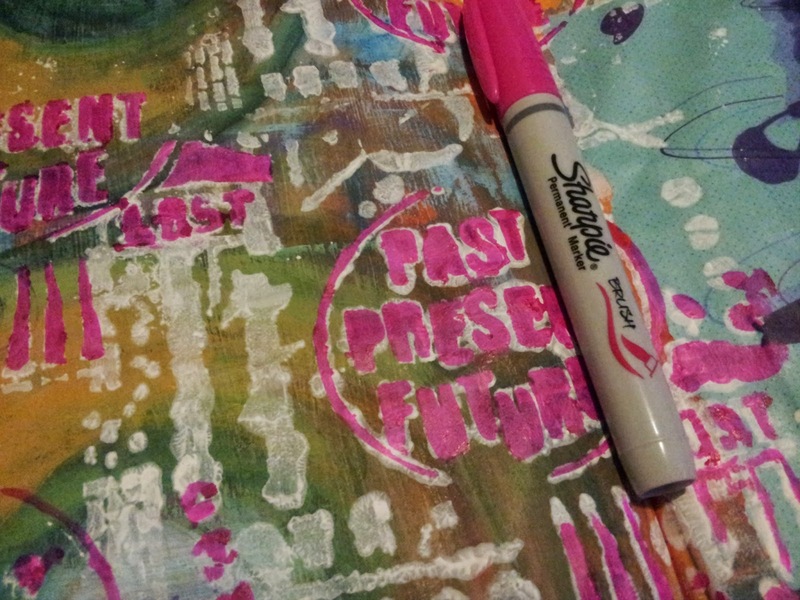 Very cool use of the stencil and glad to find out the Sharpie brush marker works on gesso! Love the pages. Seth's stencils are so awesome! The layering with stencils and washi tape makes this really interesting. A great use of Seth's new stencils with the gesso! Beautiful pages. Love all of the movement! Love these new stencils. Thank you for sharing. Ooh, Sharpie brush markers - wonder how long before we can get them in New Zealand? Love the impact over Gesso. Very cool. That's a phrase i should follow more often....lol. Neat stuff! I just saw your guestpost about using stencils and tape-transfers... gonna try that today but before I head off to my atelier I visited your blog and to my surprise I find you working with another fave artist/friend's stencils... I admire Seth and his stencils are beautiful! Love how you used them on the page too!